Dev Patel (born April 23, 1990) is an English actor. Born and raised in London to Gujarati Indian Hindu parents, Patel made his screen debut as Anwar Kharral in the first two seasons of the British television teen drama Skins (2007–2008), landing the role with no prior professional acting experience. His breakthrough came in 2008 with the leading role of Jamal Malik in Danny Boyle's drama Slumdog Millionaire, which won the Academy Award for Best Picture, and for which he was nominated for the BAFTA Award for Best Actor and the SAG Award for Best Supporting Actor. Patel went on to star in the highly successful romantic comedy The Best Exotic Marigold Hotel (2012) and its 2015 sequel, as well as the fantasy film The Last Airbender (2010), and the science fiction crime thriller film Chappie (2015). His portrayal of Neal Sampat on the HBO television series The Newsroom (2012–2014) earned him a NAACP Image Award nomination for Outstanding Supporting Actor in a Drama Series. In 2015, Patel starred as the mathematician Srinivasa Ramanujan in the biopic The Man Who Knew Infinity, and the following year he played Saroo Brierley in the drama Lion (2016). For the latter, he won the BAFTA Award for Best Supporting Actor and was nominated for an Academy Award, Golden Globe and SAG Award. 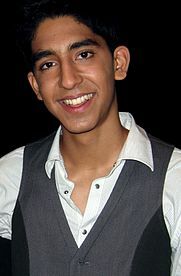 Dev Patel was born on 23 April 1990 in Harrow, the son of Anita, a care worker, and Raj, an IT consultant. His parents are Gujarati Indian Hindus, though they were both born in Nairobi, Kenya, where there is a significant Indian community; they emigrated to England separately in their teens, and first met in London. Patel was raised in the Hindu faith. He speaks English, but can also speak some Gujarati. His ancestors hail from Jamnagar and Unjha in Gujarat. He grew up in the Rayners Lane district of Harrow and attended Whitmore High School. Patel had his first acting role as Sir Andrew Aguecheek in the school's production of Twelfth Night. He was given the Best Actor award for his performance. Patel later attended Whitmore High School, receiving an A* in GCSE Drama for his "self-penned portrayal of a child in the Beslan school siege". His drama teacher Niamh Wright has stated, "Dev was a gifted student who quickly impressed me with his innate ability to communicate a wide variety of characters imaginatively and creatively. He was awarded full marks for his GCSE performance to a live audience and the visiting examiner was moved to tears by his honest portrayal." He completed his AS Levels in PE, Biology, History, and Drama in 2007 at Whitmore High School while working on Skins. Patel said that he was "bloody energetic" as a child, and used to get in trouble at school because of it. He started training at the Rayners Lane Academy of Taekwondo in 2000. He competed regularly in both national and international championships, including the 2004 AIMAA (Action International Martial Arts Association) World Championships in Dublin, where he won a bronze medal. The World Championships took place in October 2004, when he was a red belt competing in the junior division against other red and black belts. He made it to the semi-finals, where he lost to an Irish black belt named Niall Fitzmaurice in "a very close and tough fight", and ended up winning a bronze medal. He later gained a 1st dan black belt in March 2006. In 2006, Patel began his acting career when he auditioned for the E4 teen drama television series Skins. Patel's mother saw the casting advert in Metro (British newspaper) and took him to the audition even though he had a science exam the next day. After two auditions, he was cast in the role of Anwar Kharral, a British Pakistani Muslim teenager. The characterisation of Anwar was partly based on Patel's personality and the role was written specifically for him after he was cast in Skins. Patel, who had no professional acting experience, said that on "the first day of shooting I didn't really know what to do." The first series of the show aired in January 2007 and went on to win the Rose d'Or for Drama in 2008 and receive a nomination for Best Drama Series at the 2008 BAFTA Television Awards. Patel reprised his role as Anwar for the second series of Skins, which aired in February 2008. The second series of Skins won the Philips Audience Award at the 2009 BAFTA Television Awards. Patel made his feature film debut when he was cast in the role of Jamal Malik, the central character in Danny Boyle's film Slumdog Millionaire. The Jamal Malik character is an Indian Muslim boy born and brought up in the poverty of Bombay, India. Boyle considered hundreds of young male actors, but found that Bollywood leads were generally "strong, handsome hero-types", not the personality he was looking for. Boyle's 17-year-old daughter Caitlin pointed him to Skins. After five auditions for the role, the actor was eventually cast in August 2007. The film's producer found the original choice for the lead role, Ruslaan Mumtaz, too good-looking for the role. Boyle said, "I wanted a guy who didn't look like a potential hero; I wanted him to earn that in the film." To prepare for the role, Patel went along with Boyle while scouting for filming locations, where he was able to observe the Dharavi slums for himself. He also worked at a call centre for a day and in a hotel, where he washed dishes. After the release of Slumdog Millionaire at the end of 2008, Patel went on to receive a number of awards for his performance, including a British Independent Film Award, National Board of Review (NBR) Award, Chicago Film Critics Association Award, and two Black Reel Awards for Best Actor and Best Breakthrough Performance. Patel was also nominated for Best Supporting Actor at the 2009 Screen Actors Guild (SAG) Awards. The award eventually went posthumously to Heath Ledger for his performance in The Dark Knight, though Patel did win the Screen Actors Guild Award for Outstanding Performance by a Cast in a Motion Picture, which he shared with ten other cast members from Slumdog Millionaire. On 8 January 2009, Patel won the Critics' Choice Award for Best Young Performer. He was also nominated for two London Critics Circle Film Awards, the NAACP Image Award for Outstanding Supporting Actor, the 2009 BAFTA Award for Best Leading Actor, and European Film Award for Best Actor. The film itself won four Golden Globes, including Best Drama Film, and eight Academy Awards, including Best Picture. Patel played Zuko in M. Night Shyamalan's The Last Airbender, a feature film adaptation of the animated series Avatar: The Last Airbender, which was released 1 July 2010 to extremely negative reviews. Despite being a commercial success, the film was a critical failure (particularly for the casting of white actors as the protagonists, while the villains were played by actors who were South Asian and Arabs) and Patel even received a Razzie Award nomination as Worst Supporting Actor that year, although his role was well received, and was considered by many to be one of the film's positive aspects. Patel later starred in the short film The Commuter, which was directed by the McHenry Brothers to promote the Nokia N8 smartphone in the U.K. Fans who won a Nokia UK run competition starred alongside Dev Patel in the short film. Patel co-starred in The Best Exotic Marigold Hotel (2012), directed by John Madden, with Judi Dench, Bill Nighy and Maggie Smith, which received positive reviews from critics and was a box office success, grossing $136 million. For the role, he had to take lessons in perfecting an Indian-English accent, as his native English accent was so strong. From 2012 to 2014, Patel had a supporting role in the 2012 HBO television series The Newsroom as Neal Sampat, blogger for news anchor Will McAvoy. He also appeared alongside James Franco and Heather Graham in About Cherry, which premiered at the 2012 Berlin International Film Festival. In 2014, Patel starred alongside Robert Sheehan and Zoë Kravitz in the film, The Road Within, about three unlikely friends, one with Tourette's syndrome (Sheehan), one with OCD (Patel) and an anorexic woman (Kravitz) who go on a road trip. The film received generally mixed reviews. Variety had positive words for the "bristling and committed performances by Robert Sheehan, Dev Patel and Zoe Kravitz" while noting that "there remains a nagging tidiness to the whole endeavor that leaves a strained, cloying aftertaste" that kept the movie from truly succeeding. In 2016, Patel starred as Saroo Brierley in the biographical film Lion, directed by Garth Davis and co-starring Nicole Kidman and Rooney Mara, which premiered to rave reviews and "Oscar buzz" at the 2016 Toronto International Film Festival. The film is based on the non-fiction novel written by Brierley titled A Long Way Home. Patel won the BAFTA awards for 'Best Supporting Actor'. At the 89th Academy Awards, he was nominated for Best Supporting Actor for Lion. He began dating his Slumdog Millionaire co-star Freida Pinto in 2009. On 10 December 2014, the couple announced that they had split after nearly six years of dating. In March 2017 Patel's relationship with Tilda Cobham-Hervey became public. They met nine months earlier on the set of Hotel Mumbai. ^ "My London: Dev Patel". London Evening Standard. 19 January 2017. ^ a b Iqbal, Nosheen (21 February 2015). "Dev Patel: 'I didn't know what I was getting myself into'". The Guardian. ^ a b c d e f g h Burrows, Tim (1 December 2008). "Slumdog Millionaire: Dev Patel hits the jackpot". The Daily Telegraph. Retrieved 26 March 2009. ^ "Dev Patel". Internet Movie Database. Retrieved 15 May 2014. ^ "Dev Patel Biography". Tribute. Retrieved 15 May 2014. ^ Tilley, David (20 January 2009). "Slumdog Millionaire starring Dev Patel scoops nine Oscar nominations". Harrow Observer. Archived from the original on 14 February 2009. Retrieved 26 March 2009. ^ a b Feinberg, Scott (interviewer); Patel, Dev (actor) (15 October 2008). Podcast: Scott puts "Slumdog" star Dev Patel back in the hot seat! (MP3). Los Angeles Times. Retrieved 26 March 2009. ^ "Dev Patel proud of quirks". NZ City. 10 August 2010. Retrieved 7 October 2010. ^ Jain, Atisha (3 May 2016). "My self-esteem is way too low to call myself a star yet: Dev Patel". Hindustan Times. ^ Jain, Ankur (28 January 2009). "Young 'Slumdog' hails from Kutch". Ahmedabad: Times of India. ^ Brady, Tara; Okyere, Elaine (15 January 2009). "Dev Patel praised by teachers". Harrow Observer. Archived from the original on 25 January 2009. Retrieved 24 January 2009. ^ a b "AIMAA World Championships". Rayners Lane Taekwon-do Academy. 24 October 2004. Retrieved 18 February 2009. ^ Dwyer, Michael (10 January 2009). "Mumbai millionaire". The Irish Times. Retrieved 26 March 2009. ^ "Dan Grades achieved at Rayner Lane Taekwon-do Academy Black Belt Gradings". Rayners Lane Taekwon-do Academy. 2006. Retrieved 6 January 2009. ^ "Dev Patel: 'I'm just this guy from Rayners Lane – how the hell did this happen?' – The Guardian". www.theguardian.com. Retrieved 17 July 2018. ^ Bailey, Mike (actor); Murray, Hannah (actor) (8 August 2008). Cast weighs in on...Anwar (SWF). BBC America. Retrieved 26 March 2009. ^ West, Dave (7 May 2008). "'Skins' wins Rose d'Or for best drama". Digital Spy. Retrieved 26 March 2009. ^ Gibson, Owen (19 March 2008). "Cranford wins three Bafta nominations". The Guardian. Retrieved 26 March 2009. ^ "Philips Audience Award". British Academy of Film and Television Arts. 26 April 2009. Archived from the original on 30 April 2009. Retrieved 27 April 2009. ^ Editor, By Anita Singh, Showbusiness. "Slumdog Millionaire actor Dev Patel hits Hollywood". Telegraph.co.uk. Retrieved 12 August 2017. ^ Lane, Anthony (1 December 2008). "Slumdog Millionaire: The Film File". The New Yorker. Retrieved 26 March 2009. ^ a b Roston, Tom (4 November 2008). "'Slumdog Millionaire' shoot was rags to riches". The Hollywood Reporter. Archived from the original on 17 December 2008. Retrieved 12 November 2008. ^ Finlay, Nicki (reporter); Boyle, Danny (director); Patel, Dev (actor) (5 November 2008). Prepare to Slum It With Slumdog Millionaire (SWF). Associated Press. Retrieved 26 March 2009. ^ "Dev's harrowing Slumdog experiences". Metro. 6 January 2009. Retrieved 25 January 2009. ^ Dawtrey, Adam (30 August 2007). "Danny Boyle to direct 'Slumdog'". Variety. Retrieved 15 January 2008. ^ "Ruslaan too good to be a slumdog!". Hindustan Times. 14 January 2009. Archived from the original on 14 April 2009. Retrieved 26 March 2009. ^ Vieira, Meredith (interviewer); Patel, Dev (actor); Pinto, Freida (actor) (21 November 2008). Dancing With the 'Slumdog' Stars (SWF). Today. Retrieved 26 March 2009. ^ Yount, Stacey (21 November 2008). "'I wanted his eyes to say everything.' – Dev Patel". BollySpice.com. Archived from the original on 11 March 2009. Retrieved 27 March 2009. ^ "Winners Announced for the 11th British Independent Film Awards". British Independent Film Awards. 30 November 2008. Archived from the original on 8 February 2009. Retrieved 2009-03-26. ^ Murray, Rebecca (5 December 2008). "NBR Chooses 'Slumdog Millionaire' as the Best Film of 2008". About.com. Retrieved 26 March 2009. ^ "Chicago Film Critics Awards – 2008". Chicago Film Critics Association. 2008. Archived from the original on 24 February 2010. Retrieved 2009-03-26. ^ "Cadillac, Slumdog & Bees are Triple Threats At Black Reed Awards". Daily Express. 15 December 2008. Retrieved 26 March 2009. ^ "'Slumdog' cast wins, 'Button' gets zip at SAG Awards". CNN. 26 January 2009. Retrieved 26 March 2009. ^ "Nominations Announced for the 15th Annual Screen Actors Guild Awards". Screen Actors Guild Awards. 18 December 2008. Retrieved 26 March 2009. ^ "Nominees | 14th Annual Critics Choice Awards". VH1. 2009. Retrieved 9 January 2009. ^ Wootton, Dan (5 February 2009). "Slumdog's Dev misses out on awards". News of the World. Retrieved 26 March 2009. ^ King, Susan (7 January 2009). "Tyler Perry gets double NAACP noms". Los Angeles Times. Archived from the original on 29 January 2009. Retrieved 26 March 2009. ^ a b Farndale, Nigel (6 February 2009). "Slumdog Millionaire star Dev Patel: an underdog no more". The Daily Telegraph. Retrieved 26 March 2009. ^ "Nominations for the European Film Awards 2009". European Film Academy. Retrieved 14 November 2009. ^ Horn, John (23 February 2009). "'Slumdog' strikes it rich with 8 Oscar wins". Los Angeles Times. Retrieved 26 March 2009. ^ Earle, Alison (presenter); Patel, Dev (actor) (5 February 2009). Miley Cyrus says sorry and Dev Patel's next film (SWF). ITN. Retrieved 26 March 2009. ^ Fleming, Michael (1 February 2009). "Shyamalan cast floats on 'Air'". Variety. Retrieved 3 February 2009. ^ Fernandez, Jay A. (15 March 2009). "Four more land 'Airbender' roles". The Hollywood Reporter. Archived from the original on 20 March 2009. Retrieved 26 March 2009. ^ "Nokia N8 Product page". ^ "Official Nokia UK Facebook announcement". ^ "Dev Patel stars in film shot entirely with the Nokia N8". Asiapacificarts.usc.edu. Retrieved 4 March 2015. ^ "The Best Exotic Marigold Hotel (2012) - Box Office Mojo". www.boxofficemojo.com. Retrieved 16 September 2016. ^ Doshi, Riddhi (3 March 2011). "Dev Patel had to take lessons in English". Retrieved 18 June 2013. ^ "New Drama Series The Newsroom starring Jeff Daniels and Emily Mortimer Debuts 24 June, TVbythenumbers.com, 19 June 2012". Tvbythenumbers.zap2it.com. 19 June 2012. Retrieved 4 March 2015. ^ Chang, Justin. "Film Review: 'The Road Within'". Retrieved 9 April 2015. ^ Busis, Hillary. "Dev Patel's Lion May Be the Inspirational Awards-Season Tale You're Looking For". Retrieved 16 September 2016. ^ "TIFF 2016: Garth Davis' 'Lion' with Dev Patel is an Emotional Journey". Retrieved 16 September 2016. ^ "Lion". 13 September 2016. Retrieved 16 September 2016. ^ "'Arrival,' 'La La Land,' 'Moonlight' and more: How the Toronto Film Festival movies will play with Oscar voters". Los Angeles Times. ISSN 0458-3035. Retrieved 16 September 2016. ^ "Lion, A Monster Calls Oscar Chances: Will Tearjerkers Reign?". 11 September 2016. Retrieved 16 September 2016. ^ Susan Wloszczyna (29 March 2011). "Freida Pinto, Dev Patel: Like something out of a movie". USA Today. Retrieved 26 February 2012. ^ Marquina, Sierra (10 December 2014). "Freida Pinto, Dev Patel Split After Almost Six Years Together -- Get All the Details". Us Magazine. Retrieved 13 December 2014. ^ Penny Debelle (1 March 2017). "Lion star Dev Patel and Tilda Cobham-Hervey now Hollywood's hottest couple". The Advertiser. Retrieved 14 October 2017. 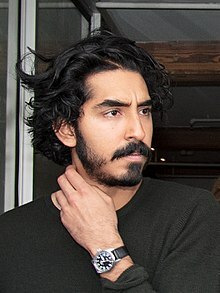 Wikimedia Commons has media related to Dev Patel. "The look of love: Freida Pinto only has eyes for longtime beau Dev Patel as pair celebrate her 29th birthday". Mail Online. 22 October 2013. Retrieved 15 May 2014. "A Conversation With: Actor Dev Patel". The New York Times. 19 July 2012. Retrieved 15 May 2014.